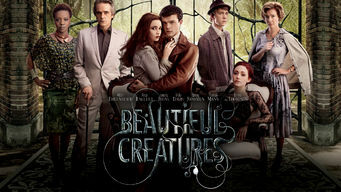 How to watch Beautiful Creatures (2013) on Netflix Argentina! Yes, Beautiful Creatures is now available on Argentine Netflix. It arrived for online streaming on October 7, 2017. We'll keep checking Netflix Argentina for Beautiful Creatures, and this page will be updated with any changes. Based on the best-selling novel, this supernatural drama focuses on the romance between Ethan and Lena, the enigmatic new girl in his Southern town. He's mortal ... she's not. A poetic teen is drawn to a mysterious girl torn between good and evil.